Two men—a wayward teenager and a weathered priest—share their demons in this debut novel. Jonathan, a high school student from Oregon, knows that there has to be more for him than a low-paying job and a dysfunctional family. Donald is an untraditional member of the clergy—he drinks, smokes, and fixes motors of all kinds. Donald didn’t begin as a man of God. He only became a priest because he killed the mobster ultimately responsible for his son’s death. Jonathan moves to Texas with a desire for manual labor; he wants to work on oil rigs (“Jonathan had found his unlikely way south from the pioneer northwest, touched by the infinite sky and still raw with wilderness. Mountains where men do not rule”). He finds Donald, and the two, each suffering in his own way, form an unlikely bond. As both men’s stories fly through the years, their unease and obvious respective neuroses ratchet higher and higher—Jonathan falls for his boss’s daughter, who will never love him, and Donald fantasizes about murdering the man who actually killed his son—bringing the work to an end that is tense, poetic, and heart-stopping. In this novel (funded, incidentally, by a Kickstarter campaign), forgiveness remains elusive. 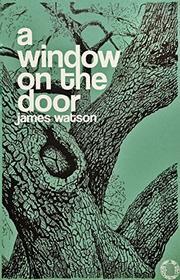 A subtle and yet masterly writer, Watson eschews the conventions of everyday prose (capitalization, punctuation, etc.) for his own style. Though it’s a bit confusing at first, it’s best to just go along with the author on his deeply layered and heartbreaking ride. The story is told through a sequence of vignettes—a Mexican restaurant on Cinco de Mayo night, a graduation party, a trip to the hardware store—and each one complexly falls atop the next, pushing both the tension and the story faster until it bursts, albeit gorgeously, in a final climax. The end is both gut-wrenching and nearly addictive, as if the reader couldn’t possibly take another bite and yet still craves more. Watson’s prose vacillates between short, choppy dialogue and long, luxuriating sentences, as though he couldn’t decide which skill to show off. One misstep is the book’s occasional illustrations—they distract from the lushness of the words on the page. Watson’s talent is obvious, and this arresting work should stay with readers, passages popping up like bubbles when they least expect it. A haunting and beautiful tale of friendship, forgiveness, and forgetting.